Thrive Public School, a charter school in San Diego, is, well, thriving. But it almost never opened to begin with. And a state proposal would all but doom future stories like Thrive’s. 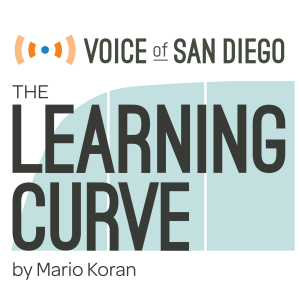 The Learning Curve is a weekly column that answers questions about schools using plain language. Have a question about how your local schools work? Write me at Mario.Koran@voiceofsandiego.org. Thrive Public School in San Diego is finishing its third year of operation, and things are looking up for the San Diego charter school. In three years the school grew from 45 students to 460, and next year plans to have about 700 students. Thrive began as a K-8, but this year opened a high school. Its founder, Nicole Tempel Assisi, says she’s welcomed more than 1,000 visitors to Thrive, some coming from as far away as India and England. Most come to check out how the school creates individualized education plans for each student or supports their social-emotional learning, Assisi said. Individualized instruction is familiar ground to educators. Students with special needs already have it. By blending technology and one-on-one instruction, Thrive takes that approach for all students. Critics often accuse charter schools of excluding students with special needs. But roughly 16 percent of students Thrive serves have special needs – a higher percentage of special education students than San Diego Unified serves. That, combined with its approach to individualized education plans, has earned the school recognition as a leader in serving students with special needs. But this school almost didn’t happen. And if a bill written by a Los Angeles lawmaker and backed by the California Teachers Association were to become law, there would be no more stories like Thrive’s. SB 808, written by state Sen. Tony Mendoza, would give local school boards the first and last say on approving or denying charter school petitions. That is, if a school board were to deny charter schools the right to open or operate, the charter schools would no longer be able to appeal those decisions to the county and then to the state, under most circumstances. Earlier this week, Mendoza said he is hitting pause on the bill and doesn’t intend to bring it to a vote this session. Teachers union officials said the bill will likely be revisited next year, KPCC reported. But regardless of the bill’s eventual chances, the legislation underscores the tensions baked into a system in which school districts are asked to authorize and oversee the same charter schools with which they compete for students. Charter schools are publicly funded and independently run. In exchange for a promise to raise student achievement, they’re freed from some of the practices district-run schools must adhere to. The fact that most charter school teachers are non-union means they have greater freedom when it comes to hiring and firing. But that also puts them at ideological odds with teachers unions, who have appealed to the court to limit their growth. In order for charter schools to open in California, they must submit a plan for the school, known as a charter petition, to the school board in whose district the charter school wants to open. The school board decides whether to approve the charter. But Thrive’s example shows that school boards don’t always get those decisions right. In 2014, Assisi showed up to a school board meeting expecting good news. For months, she’d worked alongside district staff members to create a viable plan for the school she wanted to open. District staff recommended the charter be approved for five years – its highest vote of confidence. At the time, Superintendent Cindy Marten supported her staff’s decision. If they vetted and supported the charter, so did she. But school board members weren’t convinced. Trustee John Lee Evans, for example, questioned whether certain parts of town had become charter-school saturated and didn’t have the students to support another school. The petition was shot down in a 3-2 vote. But Thrive wasn’t done. It appealed to the San Diego County Board of Education, which acts as a backstop for local school districts. That’s when the same district staff that had vetted and greenlit Thrive’s petition changed course and recommended the county board uphold the denial. The county board shot it down, just as it did five of the other six charter petitions that came before it between 2011 and 2016. Thrive appealed again, this time to the state Board of Education. They won the right to open. The fact that Thrive was approved by the state Board of Education means the state is tasked with its oversight. So, despite the fact that Thrive resides within San Diego Unified boundaries, the district does not oversee or support the charter school. In the time since it opened, Assisi said, her relationship with San Diego Unified and its school board members has warmed. She said the two sides now work together amicably and communicate often. Recently, board president Richard Barrera toured the school to see what’s working for Thrive. Assisi isn’t mad at the school board that tried to block her. Charter schools would be stripped of that appeals process if SB 808 or a similar bill were to become law. They could still appeal decisions, but only if a local school board committed a technical or procedural violation during its review. In order to keep operating, charter schools have to return to school boards at least every five years for a review, at which time the board decides whether to allow it to keep operating, recommend changes or close it down altogether. That means, if passed, the bill could threaten not just future charter schools like Thrive, but those already operating. The California Teachers Association, which backs the bill, argues that giving school districts the first and last say on charter schools that want to open in their districts is in keeping with Gov. Jerry Brown’s local control policies. “The school board is elected to make decisions in the best interest of the children living in their district, and democracy is a means for the people to choose their leaders and to hold their leaders accountable for their policies and their conduct in office,” CTA writes on its website. CCSA argues that that piece would give school districts too much leverage. In theory, a school district could claim that any charter school creates a financial hardship for the district. In a vote that underscored the deep ideological divisions of the Los Angeles Unified school board, the board earlier this week narrowly voted to support the bill, along with other charter school-related bills that are percolating. More than one Los Angeles Unified board members who voted against the bill said they were uncomfortable with the us-against-them mentality they perceived in the legislation. In any case, California school districts will likely have time to explore the implications of the bill. Roughly 20 percent of San Diego Unified’s students are enrolled in charter schools, and district staff expect that number rise to 30 percent in the next several years. CCSA says the current setup is an inherent conflict of interest. Because school districts stand to lose students and the state dollars that follow them, they can’t be expected to review charter schools impartially. And compared with some other states, which created alternative boards to approve and oversee charter schools, the structure in California leaves a lot up to the discretion of local board members. That’s part of the reason school board elections have begun seeing larger infusions of cash, as special interests groups throw money behind candidates they think will tilt the balance in their favor. Yet, despite unprecedented spending from a group backing charters schools leading up to last November, labor-backed candidates still hold the majority on both the San Diego Unified and San Diego County boards of education. Disclosure: Voice of San Diego’s founder, Buzz Woolley, is also a major supporter of Thrive Public Schools.